ARLINGTON, VA; OCTOBER 24, 2018 – PBS revealed that To Kill a Mockingbird was voted by viewers as America’s best-loved novel during THE GREAT AMERICAN READ“Grand Finale” on Tuesday, October 23. The final episode, taped in front of a live audience at the Masonic Hall in New York City, counted down all 100 novels, which were first revealed to the public in April. Voting opened with the two-hour premiere episode on May 22, 2018 and concluded on October 18, 2018, generating more than 4 million total votes and inspiring a multi-platform and multi-generational celebration of literature. Series host Meredith Vieira joined the playwright and cast from the new Broadway play based on To Kill a Mockingbird – Aaron Sorkin, Jeff Daniels (Atticus Finch), LaTanya Richardson Jackson (Calpurnia) and Gbenga Akinnagbe (Tom Robinson) – to celebrate the best-loved novel, and discuss its impact and why it still resonates today. One of the best-loved stories of all time, Harper Lee’s To Kill a Mockingbird has been translated into more than 40 languages, sold more than 40 million copies worldwide, served as the basis for an enormously popular motion picture and was voted one of the best novels of the 20th century by librarians across the country. A gripping, heart-wrenching and wholly remarkable tale of coming of age in a South poisoned by virulent prejudice, it views a world of great beauty and savage inequities through the eyes of a young girl as her father, a crusading local lawyer, risks everything to defend a black man unjustly accused of a terrible crime. The top five ranking novels — which also included Outlander, Harry Potter, Pride and Prejudice and The Lord of the Rings — were all showcased during THE GREAT AMERICAN READ finale event with live in-person interviews with key talent who have strong personal connections to each literary piece. In addition to Vieira and the cast of Broadway’s To Kill a Mockingbird, attendees included authors Diana Gabaldon (Outlander), Amy Tan (The Joy Luck Club), William P. Young (The Shack), Markus Zusak (The Book Thief) and Robert R. McCammon (Swan Song); actors Wil Wheaton and Ali Wentworth; journalist Lesley Stahl; and literary experts Yahdon Israel, Kevin Young, Lisa Lucas and Library of Congress’ Marie Arana, among several other experts and super fans. An eight-part television series and nationwide initiative, THE GREAT AMERICAN READ explores the power of books and the joy of reading through the lens of America’s 100 best-loved novels. The 100 titles included on the list were selected through a demographically and statistically representative national survey conducted by YouGov. Viewers were able to cast votes for their favorite titles each day at pbs.org/greatamericanread, through hashtag voting via Facebook and Twitter, through SMS texting using the dedicated book hashtag, and by phone toll-free. “Thank you to the millions of people who joined us for this national celebration of books,” said Paula Kerger, President and CEO of PBS. “It has been truly inspirational to see people across generations and cultures coming together to share in their love of reading. We are especially grateful to PBS' nearly 350 member stations for bringing the power of this effort into communities in every corner of our country." Since its launch in May 2018, the nationwide initiative encouraged readers to join the conversation online and in their communities, thus generating a combined following of nearly 250,000 book lovers across Facebook, Instagram and Pinterest. THE GREAT AMERICAN READ Facebook Book Club has grown to an actively engaged community of over 50,000 bibliophiles, and video content related to the series from PBS Digital Studios and weekly episode streams have generated 5.5 million views across PBS platforms, Facebook and YouTube. Additionally, more than 75 local public television stations in 36 states held nearly 175 community engagement activities. These events included book clubs, author appearances, trivia nights, book-themed family activities, costume parties and screening events, including a number of finale watch parties in which communities could find out the top book together. Funding for THE GREAT AMERICAN READ is provided by The Anne Ray Foundation and PBS. 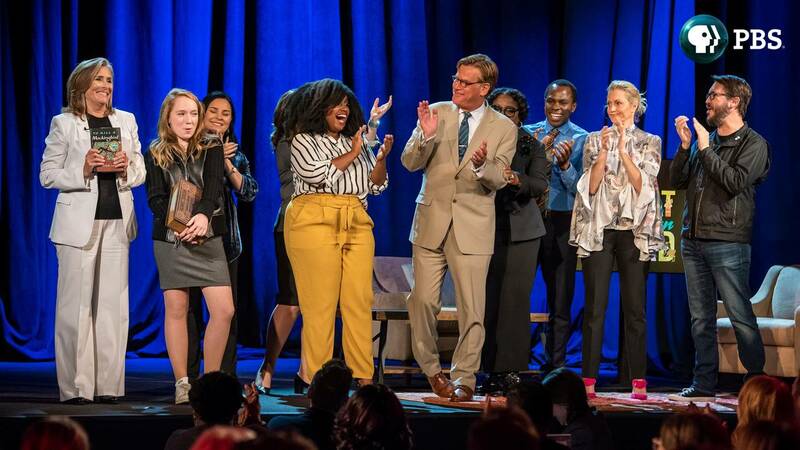 In addition, the Corporation for Public Broadcasting (CPB) provided grants, in partnership with PBS, to public media stations across the country to create local content and host screenings and forums to encourage summer reading and participation in the initiative. THE GREAT AMERICAN READ is a production of Nutopia for PBS. The program is executive produced by Jane Root, Michael Cascio, Bob Kirsh and Charles Marquardt; co-executive produced by Rebecca Ratliff Cameron; line produced by Rachael Jerahian; and produced by Nilam Agrawal-Desai, Katherine Linton, Kate Chumley, Justine Simonson, Michelle Smawley, Siobhan Lockhart, Annie Wong and Tomek Gross. Bill Gardner, Vice President of Programming and Development, is executive in charge for PBS, and Bethany Latham is project director. Amplifying the on-air and online series content is a fully illustrated companion book, The Great American Read: The Book of Books, which includes information about the 100 novels, author profiles, rare images of original manuscripts and more, plus a foreword by THE GREAT AMERICAN READ host Meredith Vieira, and is currently available for purchase. Nutopia is a leading television production company creating innovative, award-winning, premium content on a global scale. Founded in 2008 by Jane Root, former President of Discovery Channel US, Controller of BBC2 and co-founder of Wall to Wall TV, Nutopia created the ‘mega doc’ model, blending huge scale history series and high-profile talent from the worlds of documentary and drama. In 2017, the company entered in to a creative partnership with Academy Award®-nominated feature film producers Roast Beef. Nutopia has become synonymous with creating high quality content that stands out from the crowd, working with some of the most prominent global broadcasters including Netflix, CNN, National Geographic, the BBC, PBS and A+E Networks. Critical successes include the Emmy Award-winning series HOW WE GOT TO NOW; two seasons of ratings smash FINDING JESUS. FAITH. FACT. FORGERY; Emmy Award-winning series AMERICA THE STORY OF US and MANKIND THE STORY OF ALL OF US. Upcoming projects include THE LAST CZARS and BABIES for Netflix.